Thank you for contacting CC Marie Events. We look forward to talking with you very soon. Please complete the form below and we will be in touch within 24 hours to schedule a complimentary consultation. 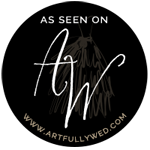 My mission is to simply Connect you to top creative partners, Coordinate your event calmly, and allow you to Celebrate in style!